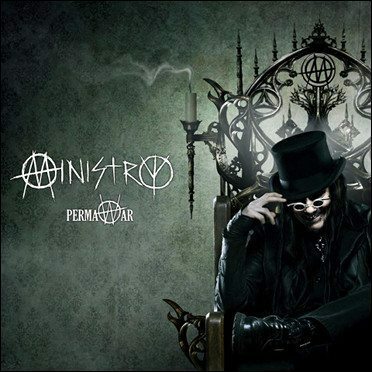 (By DJ Wildhoney) Industrial-Metal pioneers Ministry have released “PermaWar”, the first digital single from their upcoming (last) album “From Beer To Eternity”. The full album will be released on 6 September 2013 via 13th Planet Records/AFM-Records and will count 11 tracks. Ministry’s frontman Al Jourgensen explains: “‘PermaWar’ is a mid-paced, metallic tune that combines guitars crunchier than fresh tortilla chips, raw, raging vocals, live drums, a catchy doom guitar hook and a quasi-melodic chorus with samples of President Obama talking about terrorism and nuclear weapons. You can order the single right now on iTunes or listen to it below using Spotify.